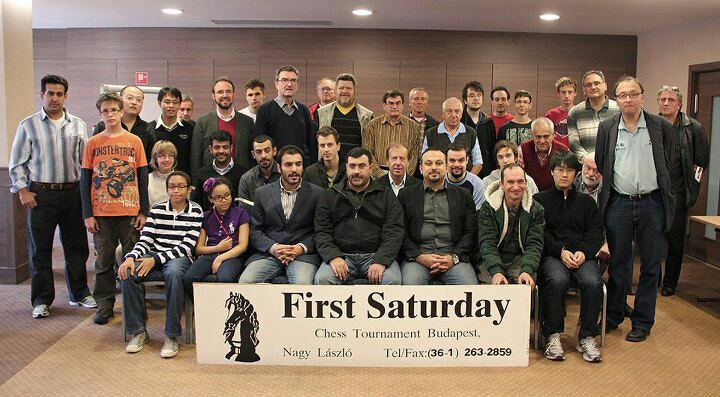 Bader Al Hajery, Nasser Al Maqseed, Bader Al Khaldi, Hazaa Al Shurafaa, Ahmad Al Subaei, and Adel Al Amiri, (including Faisal Al Qallaf) are currently in Budapest, Hungry playing in the famous First Saturday Tournament. Here is a picture of the participants who are playing in it now. A more detailed report will be available upon their arrival back to Kuwait.